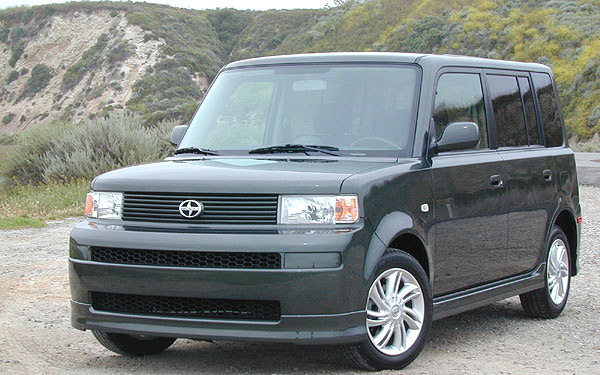 The good news: My family owns a 2004 Scion Xb, one of those ridiculous cube-shaped cars. It has abundant passenger space. The bad news: While parked at a grocery store, somebody slammed it and tore up the right front bumper, then drove off. The good news: Somebody saw it, got the license number and left a note with the description of the errant car. The bad news: The person who left the note did not identify him/herself. The good news: In its police report, DeKalb PD apparently ran the tag and verified the make / model of the vehicle, which matched the description of the note. The bad news: Nothing else happened. PD didn’t visit the culprit, nor did they ID the vehicle owner in the police report. The good news: I have auto insurance. 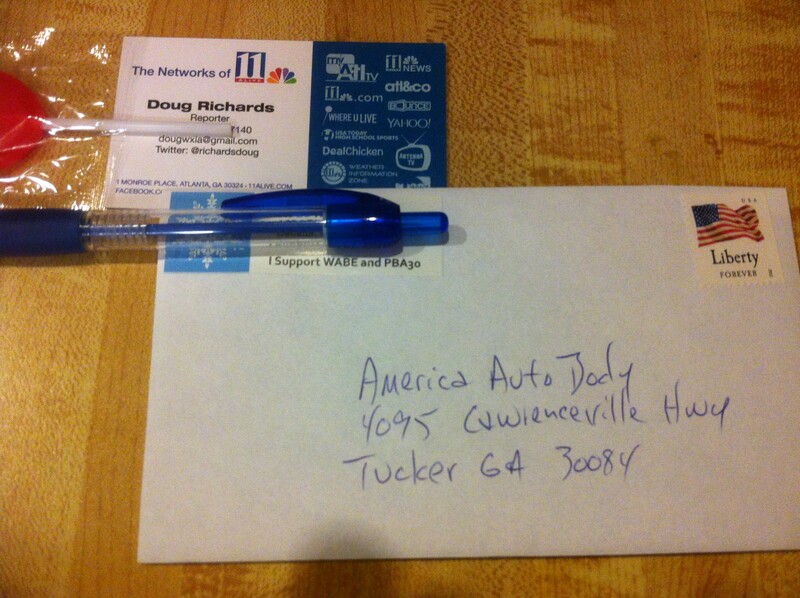 They sent me to Gerber Collision, a well-known auto body shop with numerous facilities in metro Atlanta. Gerber gave me an estimate of the damage. My insurance company sent me a check. The bad news: My insurance company apparently didn’t investigate it either, leaving me to pay the $500 deductible on the repair. The good news: I knew a place, American Auto Body, 4095 Lawrenceville Hwy in Tucker, that does good auto body work pretty inexpensively. They gave me an estimate $230 lower than Gerber, cutting my out-of-pocket payment almost in half. They did the repair. The bad news: When I went to pick up my vehicle, I was reminded that my friends at American Auto Body don’t routinely take debit or credit cards for payment. And I hadn’t brought my checkbook, because who takes the checkbook anywhere anymore? The good news: When I suggested that I take the car and subsequently mail the proprietor a check, he didn’t completely laugh in my face. The bad news: He was disinclined to allow me to take the car without paying for it on the spot. The bad news: I was playing the “trust me, I’m a reporter” card. Over the years, I’ve heard too many stories about TV reporters who had scammed trusting businesses under similar circumstances. I did not make that disclosure to him. The good news: He hadn’t heard those stories. Instead, his eyes kinda lit up. “I didn’t know you were on the news!” he answered. Of course I’ll let you drive your vehicle off my lot with the promise of a check. “I’ll put it in the mail tonight,” I assured him. This entry was posted in WXIA on March 17, 2014 by live apt fire. Are you hoping he’ll accept that lollipop as payment? He must’ve thought you were Dale Russell. I wouldn’t doubt it for a moment. At least you didn’t pull the “don’t you know who I am” line! Peach Pundit said to come here and let you know someone reads this. The worst thing you can do to a blogger is ignore him/her. I get plenty of ignorance at chamblee54.